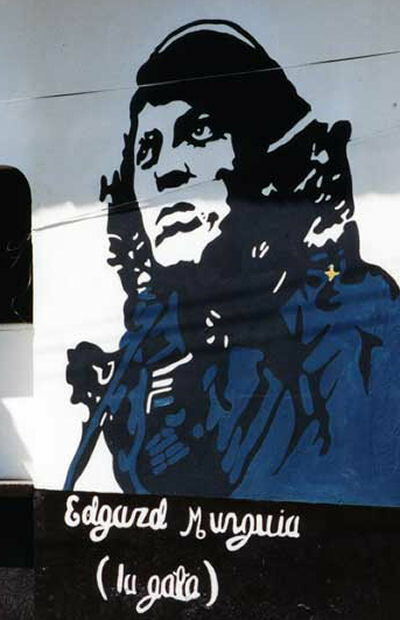 The Barrio (neighbourhood) Edgard Munguia is named after a martyred hero of the Nicaraguan revolution. He was a popular student leader famous for his translucent green eyes and known as “Munguia the Cat”. Friend and fellow revolutionary Maria Haydee said he taught her “to be tough without losing tenderness”. He is one of the figures Omar Cabezas found in the mountains in his seminal work “Fire from the Mountain”. He was assassinated by the dictator Somoza’s infamously brutal National Guard in 1976 – three years before the triumph of the revolution.